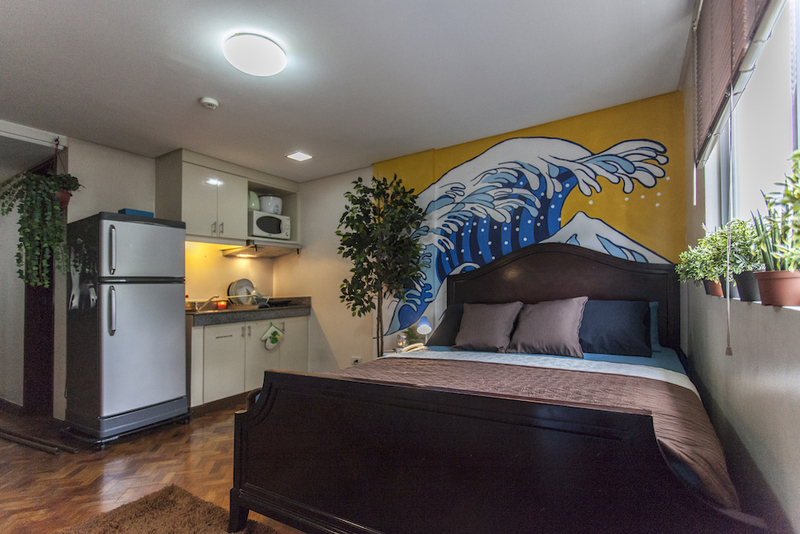 HOKUSAI-INSPIRED MURAL and UNIT FEATURED IN PRIMER.PH as one of the most unique places to stay in Makati City. BEST LOCATION - This condo is at the 2nd floor of St. Michael Square, a boutique and limited edition development at the quiet area of Makati City in San Antonio Village. Just 5 minutes away from the central business district! This 21sqm condo is definitely a gem & the hosts would love to have you as their guest. Pls note that when you book, you will be visiting Tripy & Aya’s home & it's not a hotel. Respect their place & time as your host. PARKING INFORMATION: ONE (1) SLOT FIRST COME FIRST SERVE. In case you don't get a parking slot, you can park along the street, if available. The security guard will tell you where you can park along the street, if available.